Happy Cinco De Mayo! Today I wanted to share one of our favorite cocktail recipes again! We make mojitos a lot around here. Mr. Fancy and I often try to decide who is the actual mojito master around here. I made an awesome batch the other night, so I think I hold the new title. 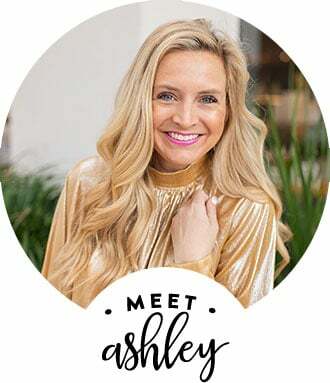 One of our favorite recipes to make mojitos with is our seared ahi taco with mango salsa recipe! We love that combo. Both would be a delicious addition to any day of the week, but they would be especially delicious for tonight! 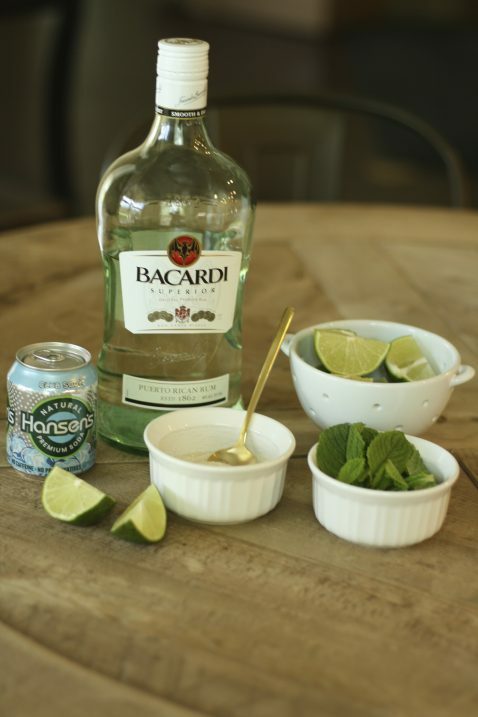 Before we begin, let’s discuss the importance of muddling the mint. 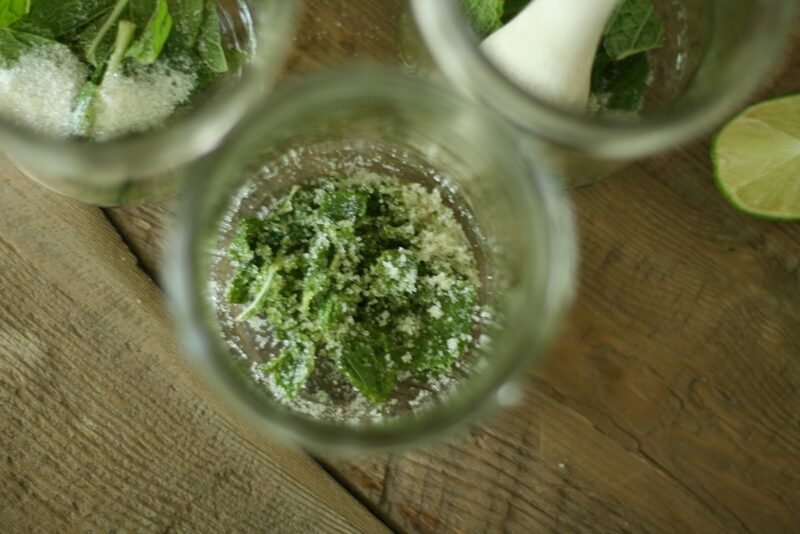 You really want your mint to be exfoliated and muddled well, so that it brings out the flavor. 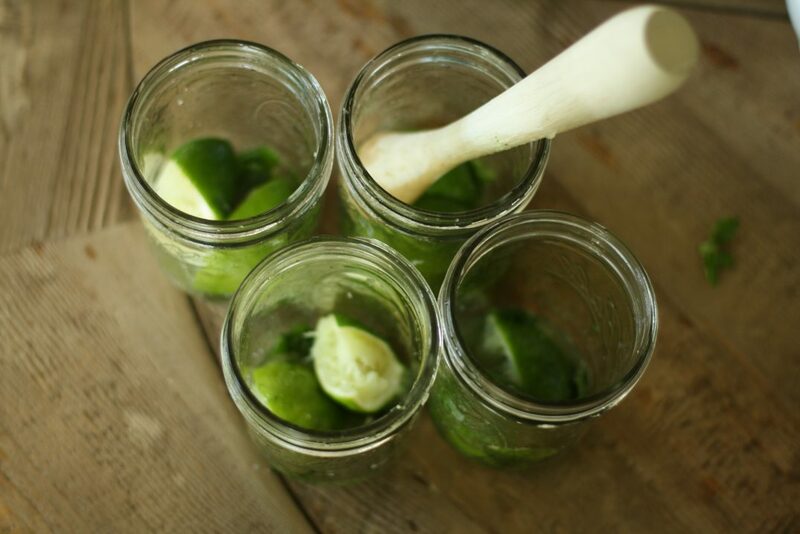 This is KEY for a good mojito. I have gotten to the point where I can’t even order them when we are out because I am not a fan of a mojito with whole mint leaves floating around in them. You can barely taste the mint and it’s alcohol and soda water overload. 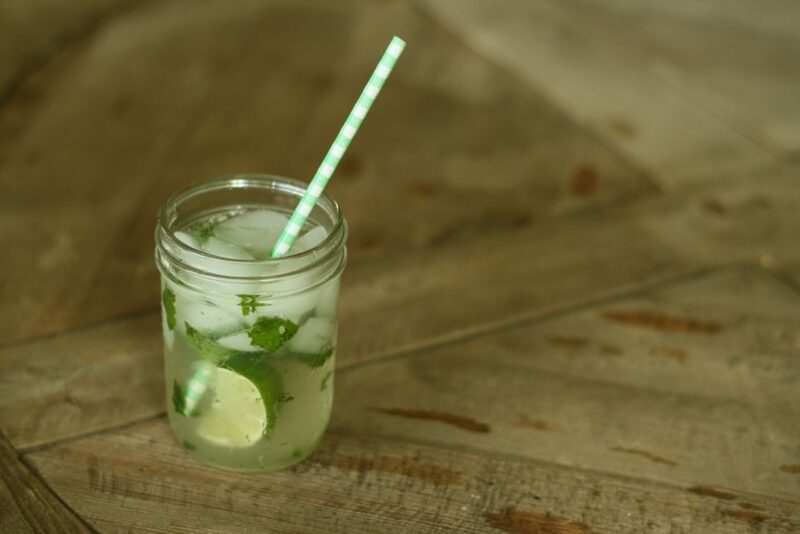 Mint is a key flavor in a mojito, so the muddling is super important. I suggest a good muddler to get the job done! Here we go! 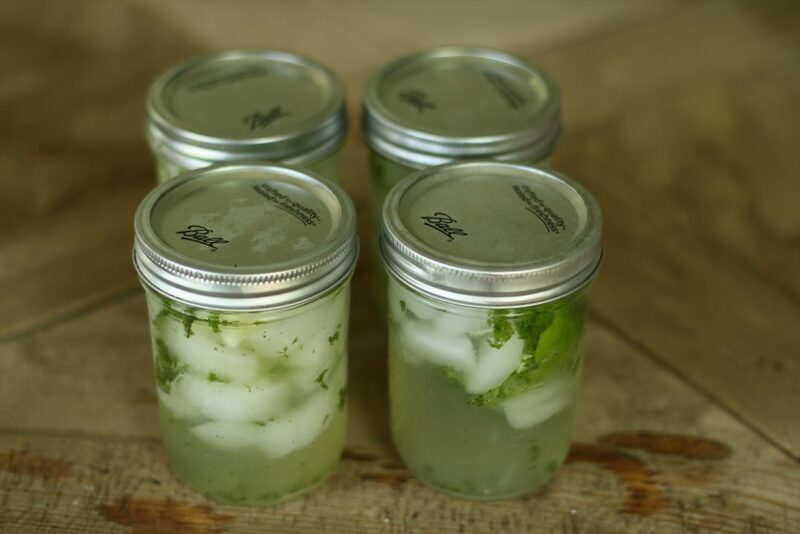 Directions: Add 1 tablespoon of sugar and 5-6 mint leaves to the bottom of a half quart jar. 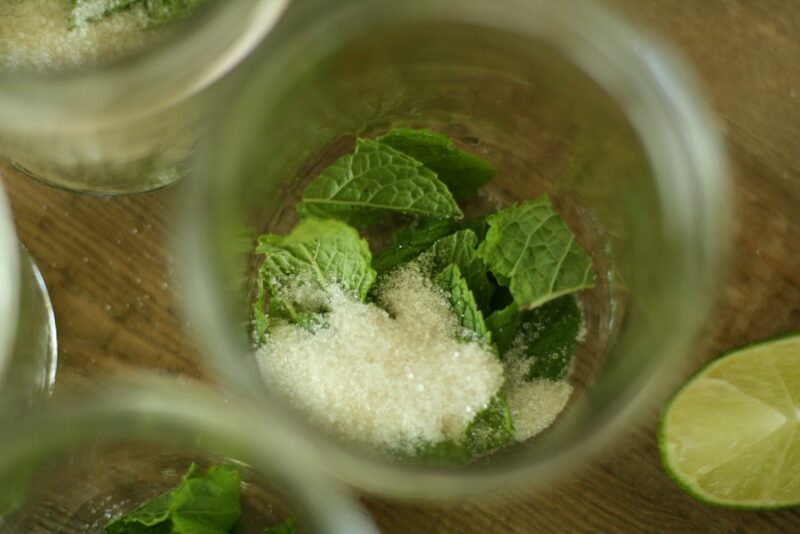 Muddle the mint and the sugar together. Really work hard to get the mint muddled. 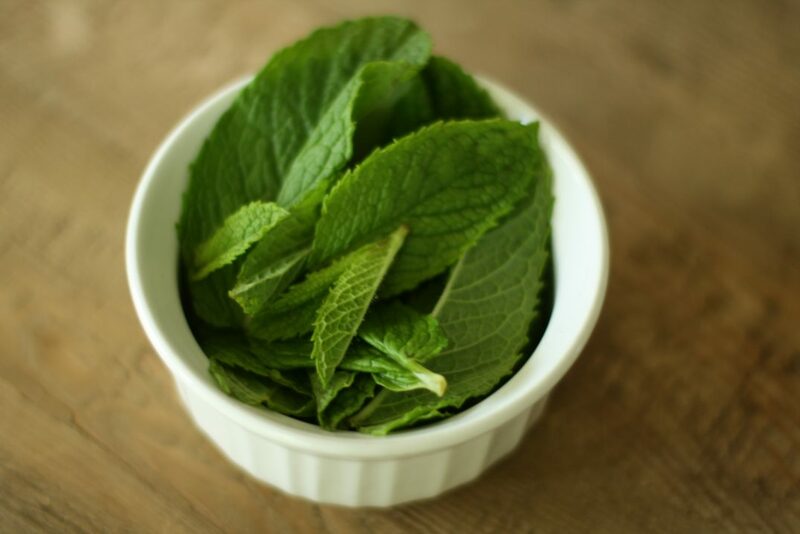 The sugar helps exfoliate the mint and it brings out the flavor even more. 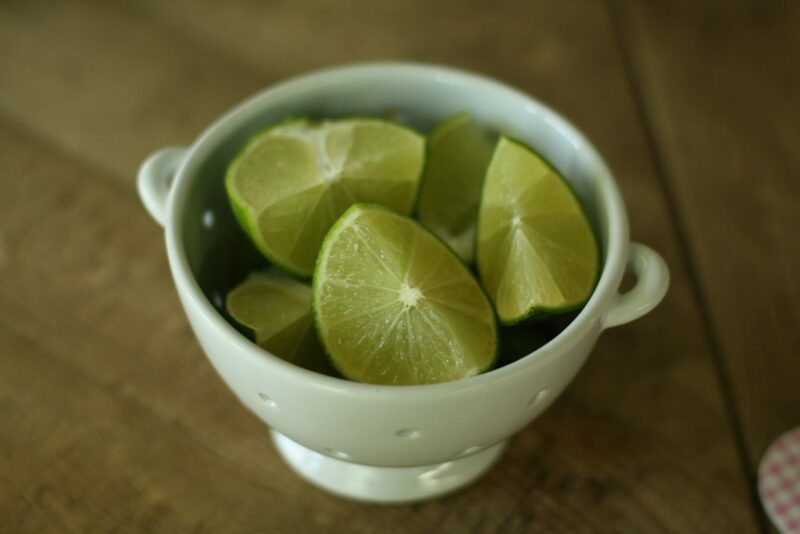 Add in a half of a lime. Squeeze in the juice and toss the limes in. Muddle the lime together with the mint and sugar. Add in a shot of rum. Fill the jar with ice. Add another tablespoon of sugar. 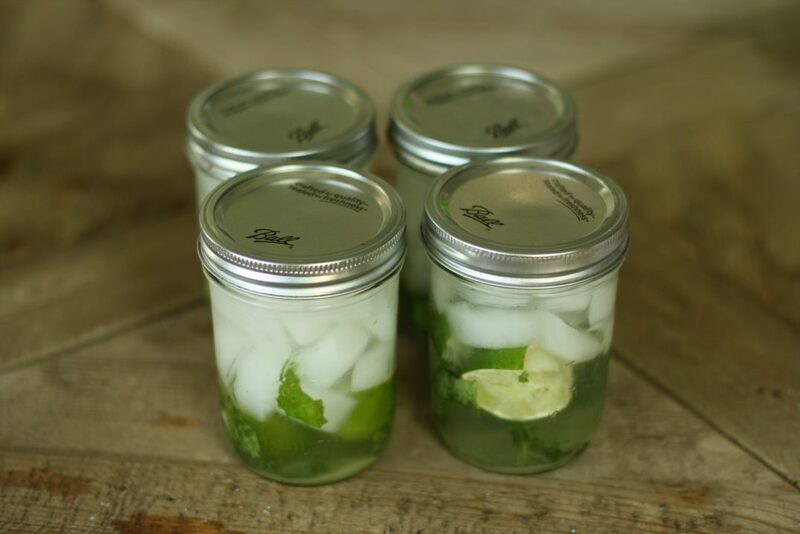 Fill the rest of the jar with club soda. Put the lid on and shake, shake, shake! You can leave the lid and put in the fridge to enjoy later or enjoy it right away. We always make a few to keep in the fridge, especially when we are having company over! Make these tonight and let me know what you think! Happy Tuesday! XO! I think I need to bust these out for my hubby tonight. So yummy. So it’s all about the muddle, huh! ?